Ripple Music will celebrate Record Store Day with their own Ripple Store Day. As a thank you to their fans and supporters who’ve allowed Ripple to unleash all this musical mayhem onto the world, Ripple will be applying special 15% discounts on everything ordered from the Ripple Store from April 15 to April 17. After exploding onto the scene June of last year, Ripple Music continues its path as one of the fastest growing Independent Record Labels in America. Following hot on the heels of their Ripple Music debut split 7″ single, Sky Parade keep the pedal to the metal with their Ripple single “I Should Be Coming Up (But I Keep Coming Down)” being included on the hottest video game in the world, Gran Turismo 5. Five years in the making, Gran Turismo lives up to its hype as one of the hottest driving games in the world, incorporating new graphics, AI, and modifiable racing tracks into its already killer gaming format. The single keeps the adrenaline pacing red hot for modern gamers, jamming to Sky Parade while they navigate the corners and bumps. 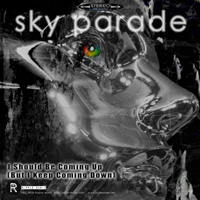 Already a KEXP Top 20 hit by Sky Parade, “I Should Be Coming Up (But I Keep Coming Down)” just keeps on growing as one of the buzz songs of the year. 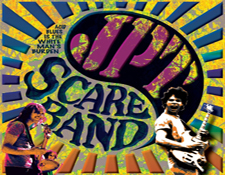 Just in time for their World tour in support of their Top 20 KEXP song, the heady, trance-inducing psychedelic pop of Sky Parade is on full display with their highly infectious tune, “I Should Be Coming Up (But I Keep Coming Down)”. Produced by the Dandy Warhol’s Courtney Taylor and released in hot anticipation of their upcoming world tour, “I Should Be Coming Up (But I Keep Coming Down)” has been lighting up the switchboard where the single has already climbed to number 20 on the KEXP Radio Chart and the Top 10 on KKBB. The dark and brooding sights and sounds of Fen will be on full display this Autumn throughout the greater Vancouver area. An announcement came down from the Fen higher up’s this week with a list of live dates that the band will be performing in October in conjunction with the release of their critically-acclaimed album Trails Out of Gloom. “These dates allow us to fine tune our live performance and make Fen that much better prepared for any future live opportunities that may arise,” stated front-man Doug Harrison. In addition to the live shows, Fen‘s debut single, “Find That One,” has generated strong interest from the listeners of the Aural Tentacles Show hosted by DJ Pierre on CITR 101.9 MHZ, as well as WVBR 93.5 (NY), WKGB 92.5 (NY), WEOS 89.7 (NY), WKZQ 96.1 (SC), WCHZ 95 Rock (GA), WRN (NE), CILU 102.7 FM (ON), SRN Media Works (ON), MetalNetRadio.com, KHTR 104.3 (WA), KFEB 107.5 (MO), WJZJ 105.5 (MI), WPNH 100.1 (NH), KLHI 92.5 (HI), KOTO 105.5 (CO), WRN Network, WRIR (VA). Fresh off the success of their first collaboration, a 7″ split-single between Stone Axe and Mighty High, multi-instrumentalist and rock preservationist T. Dallas Reed has signed with Ripple Music to re-release the critically praised Stone Axe self-titled debut on both vinyl and deluxe CD packages. 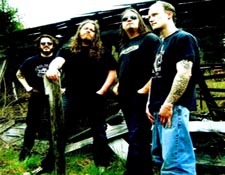 Originally released in 2009, Stone Axe lit the message boards on fire with its retro – bluesy sound, bringing back the classic sound of rock that so many were craving. Now set to be gloriously re-unleashed, the vinyl edition of the album includes an extended jam of one of the original tunes and a full lyric sheet. The LP version will hit the streets on September 7th. 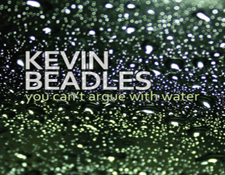 Indie Artist Kevin Beadles is releasing You Can’t Argue With Water in partnership with Ripple Music on July 13th, 2010. Since debuting in 2000, Kevin Beadles, a featured artist by West Coast Songwriters, has spent the better part of the past decade refining his folksy, alt-country, Americana style of rock n’ roll, eventually capturing a collection of light poetic gems and calling it You Can’t Argue With Water. 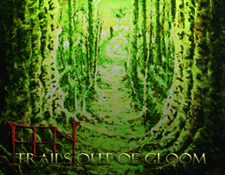 Fusing elements of progressive rock with the aggressiveness of heavy metal and the melodic accessibility of modern alternative rock,Trails Out of Gloom is the kind of album that will immediately impact the listener and send them on a journey into the imagination. Formed out of necessity as much as the need for artistic expression, guitarist/vocalist Doug Harrison and guitarist Sam Levin have blasted Fen’s progressive rock sounds throughout the Pacific Northwest for the past decade, and now, the band is set to unleash that sound across the globe. 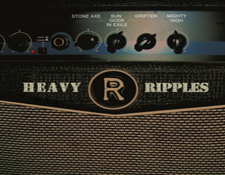 After three independent releases, Fen has partnered with indie rock label, Ripple Music, for their most ambitious and accomplished set of music in Trails Out of Gloom.